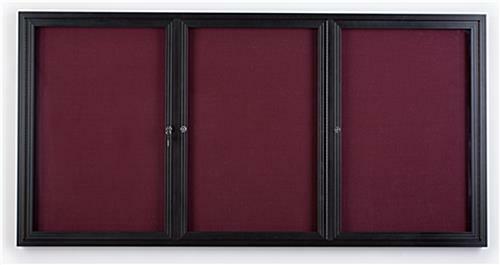 These Fabric Covered Bulletin Boards Features Swing Open Lockable Doors. Each Unit Has 3 Sections, Giving Users Plenty of Space to Display Their Notices. 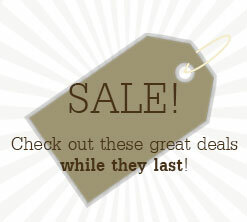 Order These Fabric Covered Bulletin Boards Online for More Savings! 72"w x 36"h (6' x 3') Large fabric board for displaying many different postings. 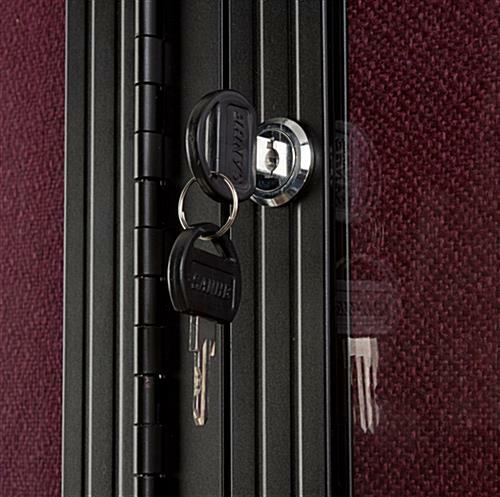 Built-in tumble lock to safely guard postings in the case. (3) Swing-open, shatter-proof polycarbonate doors provide easy access to all areas of the fabric surface. 3 Fabric covered panels hold up to (18) sheets of standard size 8-1/2" x 11" papers. 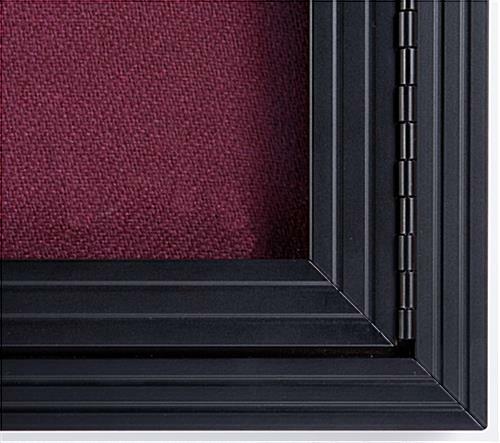 Attractive anodized aluminum frame with semi-gloss black finish that looks great in any indoor settings. 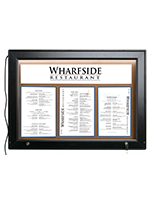 These fabric covered bulletin boards are perfect for displaying posters, memos, signs, schedules and menus. 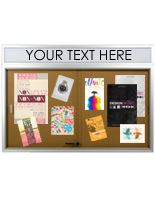 Each unit has 3 panels which offers users plenty of space for posting variety of messages. Notice tackboards help to keep the community aware and informed about what is going on or upcoming events. 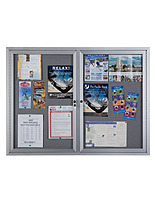 These aluminum frame notice displays, fabric covered bulletin boards are made with a tackable surface covered in fabric. 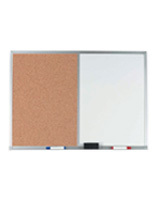 Unlike other traditional corkboard, this tackboard hides pin holes and will not crumble or fade. That makes these fabric covered bulletin boards that lock an ideal message center for a lifetime of use. 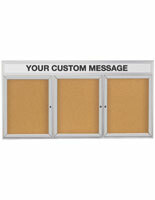 Each unit features (3) spacious, panels for displaying plenty of messages. These fabric covered bulletin boards that have a cloth wrapped backboard accept thumb tacks or push pins. 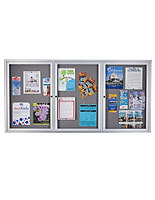 Enclosed fabric covered bulletin boards like the one seen here are widely seen used in many common areas such as banks, hospitals, lobbies, offices, schools, community centers, meeting rooms and waiting areas. Each unit has an easy front access. The polycarbonate, swing-open doors are designed to be shatter-proof. Therefore, this unit is safe for high-traffic, public areas. 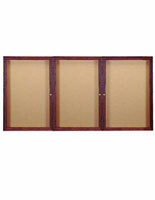 These fabric covered bulletin boards that have 3 swing-open doors feature full length piano hinges for easy opening. Once the unit is mounted to the wall, users can easily access the board from the front for fast and frequent updates. Not only do these classroom fabric covered bulletin boards present your materials to the public, but they also protect notices in the case. Each door comes with a built-in cam lock and three sets of keys to secure the unit. 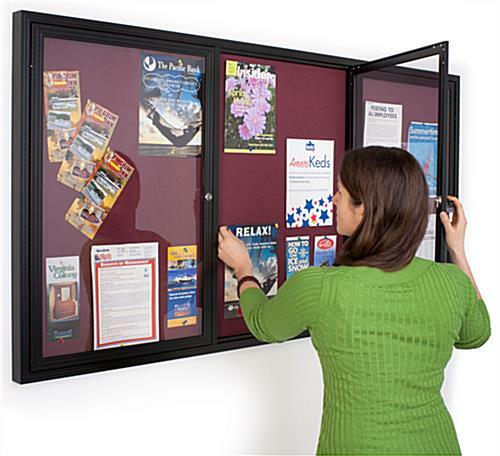 These indoor message centers, fabric covered bulletin boards are durably constructed with an anodized aluminum frame with mitered corners for long-term use. Due to the beautiful, semi-gloss black finish, these tackboards are sure to blend in nicely with any interior décor. The wall-mounting hardware includes the concealed Z-bar mounting brackets, screws and wall-anchors, all of which are included with purchase. These tackboards are solely intended for indoor use only. Installed this enclosed corkboards in any busy and high-traffic areas to draw more passersbys attention. 72.0" x 36.0" x 2.0"